Take a colourful journey with Captain Picard and the crew of the U.S.S. Enterprise NCC-1701-D with STAR TREK: THE NEXT GENERATION THE ADULT COLORING BOOK! With 45 highly detailed, beautifully illustrated images to colour however you choose, this is a must-have item for Star Trek fans in this or any other galaxy! Recreate this heartwarming scene at home with your own Star Trek The Next Generation Colouring in book! 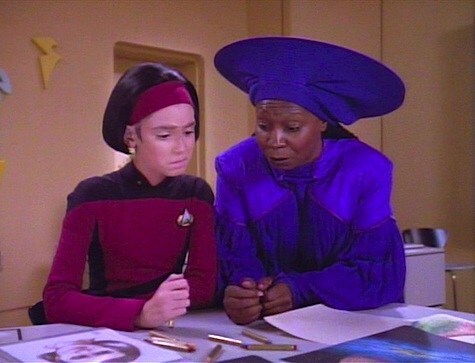 “Pass me the bulkhead grey crayon please Guinan”.